Mon Apr 30, 2012 @ 10:11PM by Zolicoeur Insanity Defense - Epitaph 1982-1985 ! Sun Apr 08, 2012 @ 03:08PM by stogref The Queers Are Here video ! Sat Mar 17, 2012 @ 05:21PM by stogref Negative Approach - Can't Tell No One video! Sat Mar 17, 2012 @ 02:52PM by sto Tongue - Faulty Parts ! Sat Mar 17, 2012 @ 01:33PM by aspro5000 Tongue - Faulty Parts ! Tue Jan 03, 2012 @ 07:02PM by stogref The Slog Movie video ! Tue Jan 03, 2012 @ 02:16PM by bruce The Slog Movie video ! Sat Dec 31, 2011 @ 12:22PM by stogref Concrete Facelift - Loud Fast Raw! Sat Dec 31, 2011 @ 12:20PM by stogref No Labels - Complete No Labels 1982-84 ! Sat Dec 31, 2011 @ 12:18PM by stogref Ashers - Cold Dark Place ! Mon Dec 05, 2011 @ 11:54AM by Aspro5000 Concrete Facelift - Loud Fast Raw! Mon Dec 05, 2011 @ 11:50AM by Aspro5000 No Labels - Complete No Labels 1982-84 ! Mon Dec 05, 2011 @ 11:44AM by Aspro5000 Ashers - Cold Dark Place ! Sun Dec 04, 2011 @ 10:29AM by stogref No Labels - Complete No Labels 1982-84 ! Sat Dec 03, 2011 @ 08:47PM by sfdoomed No Labels - Complete No Labels 1982-84 ! Fri Dec 02, 2011 @ 06:33PM by stogref Concrete Facelift - Loud Fast Raw! Fri Dec 02, 2011 @ 06:07PM by Aspro5000 Concrete Facelift - Loud Fast Raw! Sat Nov 26, 2011 @ 12:57PM by stogref Channel 3 - One More For All My True Friends video ! Sat Nov 26, 2011 @ 10:30AM by Zolicoeur Channel 3 - One More For All My True Friends video ! Sat Nov 26, 2011 @ 09:29AM by Zolicoeur The Queers Are Here video ! Fri Nov 25, 2011 @ 06:42PM by stogref The Queers Are Here video ! Fri Nov 25, 2011 @ 11:08AM by Zolicoeur The Queers Are Here video ! Mon Nov 21, 2011 @ 08:06PM by stogref Negative Approach - Can't Tell No One video! Mon Nov 21, 2011 @ 11:54AM by JoliCoeur Negative Approach - Can't Tell No One video! Sun Nov 20, 2011 @ 05:24PM by sfdoomed Nip Drivers - Destroy Whitey + Oh Blessed Freak Show !! Sat Nov 19, 2011 @ 03:31PM by Jolicoeur Negative Approach - Can't Tell No One video! Sat Oct 22, 2011 @ 09:11AM by stogref Redd Kross - Show World ! Fri Oct 21, 2011 @ 12:12AM by laurent Redd Kross - Show World ! Fri Oct 21, 2011 @ 12:07AM by Anonymous Redd Kross - Show World ! Tue Oct 18, 2011 @ 07:40PM by TEEN MAGUS Desecration - Complete Desecration 1985-88 ! Tue Oct 04, 2011 @ 10:33AM by stogref The Jesus Lizard - Liar ! Mon Oct 03, 2011 @ 02:41PM by Anonymous The Jesus Lizard - Liar ! Mon Sep 26, 2011 @ 09:32AM by stogref OFF! - First Four EPs ! Mon Sep 26, 2011 @ 09:23AM by stogref Pure Hell - Noise Addiction ! Mon Sep 26, 2011 @ 08:51AM by stogref Mike Watt - Hyphenated-Man ! Mon Sep 26, 2011 @ 08:49AM by stogref FEAR - discogra-fix ! Sun Sep 25, 2011 @ 11:03PM by Aspro5000 OFF! - First Four EPs ! Sun Sep 25, 2011 @ 11:00PM by Aspro5000 OFF! - First Four EPs ! Sun Sep 25, 2011 @ 10:37PM by Aspro5000 Pure Hell - Noise Addiction ! Sun Sep 25, 2011 @ 10:32PM by Aspro5000 Mike Watt - Hyphenated-Man ! Sun Sep 25, 2011 @ 10:25PM by Aspro5000 FEAR - discogra-fix ! Sat Sep 24, 2011 @ 07:17PM by stogref The Jesus Lizard - Liar ! Fri Sep 23, 2011 @ 01:59PM by mana The Jesus Lizard - Liar ! Thu Sep 22, 2011 @ 08:52AM by stogref The Jesus Lizard - Liar ! Thu Sep 22, 2011 @ 01:14AM by mana The Jesus Lizard - Liar ! Wed Sep 21, 2011 @ 08:38AM by stogref The Jesus Lizard - Liar ! 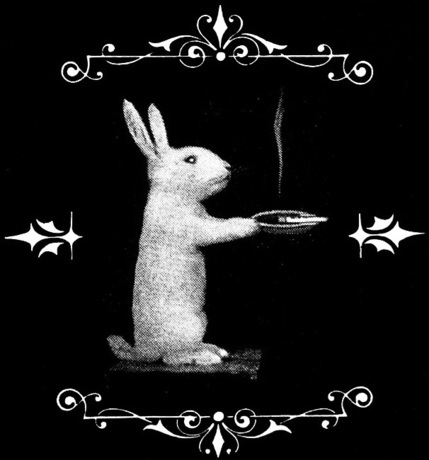 Wed Sep 21, 2011 @ 02:40AM by mana The Jesus Lizard - Liar ! 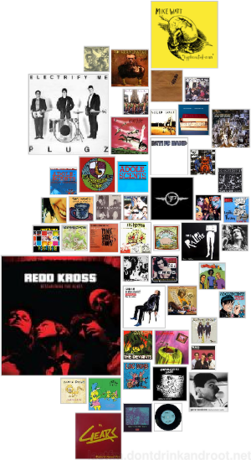 Tue Sep 13, 2011 @ 09:31PM by Dig Me Out Podcast Redd Kross - Phaseshifter !